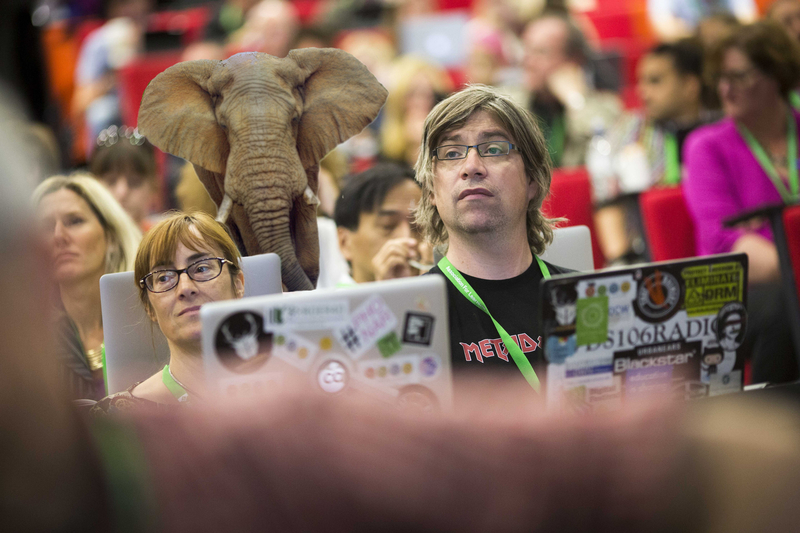 ALT-C 2015 reflections: a heffalump in the auditorium? In summarising my trip to the Association of Learning Technology 2015 Conference I find myself asking “why am I doing this”? Not in the sense of “why haven’t I won the lottery yet”, but I suddenly find myself questioning the motives behind my on-going work in open education. During the conference Martin Weller wrote about the “angst of the digital scholar” from the perspective of privacy and security, but I think there is another heffalump in the auditorium. Elephant by Godot13 (Own work) [CC BY-SA 3.0 (http://creativecommons.org/licenses/by-sa/3.0)], via Wikimedia Commons. Conference shot by Chris Bull CC BY-NC-SA 2.0, CB_ALT_090915_010, via Flickr. Please see Flickr for all the shots of the conference this year or go to Chris’s webpage for more information. For ALT-c, Catherine Cronin and myself wanted to explore openness in its current state, and pull together existing resources and ideas to provide folk with critical frameworks for expanding and challenging their practices. Knox in 2013 writes how open educational theories have been slow to emerge despite the activity, and offers some areas of critique as a starter for the community. Our idea came to light as we were both thinking how could people become involved in open education for the first time, and how they could start sharing and creating open educational resources (OERs) if their institutions had no policy or supporting culture? How can people get ready to ‘go open’? But I now find myself in the Bermuda Triangle of openness. (Queue Yacht Rock music thank you David). I’m questioning not just openness by my motives behind wanting to contribute to it. So what are some of the personal attributes of open educators? Here are some of my guesses. Much of the foundation of OER activity I believe was based on altruism and it tapped into people’s fundamental beliefs, and the very obvious idea of sharing teaching resources and ideas, just had legs. I recall over the three years of working on UKOER that only one conversation with potential collaborators and contributors received a resounding ‘no’. Industrial partners, NHS services and laboratories, academics and retired professionals, and even family members of academics who had previously published, all bought into the “spirit of open”. We heard even more compelling arguments at the conference about our motivations that might also be fuelled by social injustices and inequalities within education, and far more than just being nice, we want to be socially responsible global citizens. Catherine reflects on Laura Czerniewicz‘s keynote lecture and suggests open practice may be a vehicle for change. I sense in the UK and perhaps elsewhere a rising backlash against the marketization of education and the diversion of academic time toward satisfying league table positions – as suggested at the SRHE 2014 conference last December, “add the shoe sizes of VC’s into league tables! Would be just as accurate“. Engaging in open education unites us with the deeper underlying reasons why we came to academia in the first place, and gives us the opportunity to maintain some of our dignity, and actually, expand our knowledge and enrich our teaching practice beyond how to address the languishing responses to Question 22. Knox talks about “the desire to move away from institutional control” for some subsets of academics, but I wonder how much this is now just becoming the norm. 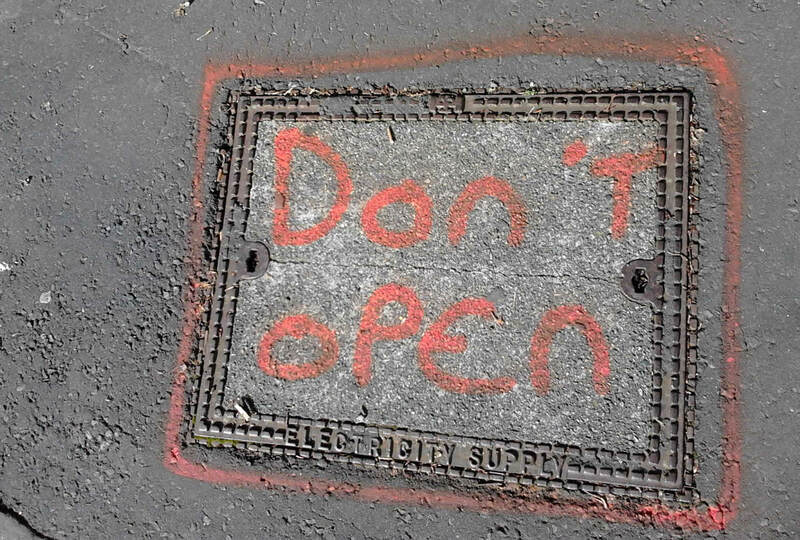 Because with open, we can? Are we just wanting more autonomy and freedom? As pedagogy seemingly falls within the realms of administrative – architectural and technological decision making, we end up in a situation where our best teaching approaches are policy-driven and not people-driven. The role of the ‘teacher’ is very underplayed, and the talent, passion and energy required to be an outstanding and dedicated educator gets distilled down into the delivery of content. That is a bit like the head of MGM studios telling Fred Astaire that he could dance a little. We end up feeling that we can teach a little. We’ve seen this with MOOCs where the content became everything, except as we soon came to realise, that the avalanche promised just about mustered up the energy to create a snowball from which “the icy water of the postulated disruption trickles down the collective institutional neck “ (Kernohan 2015). Beautiful. Open education again gives us the opportunity to reconnect with ourselves and regain our autonomy. We talk about independent learning – but what we increasingly see is independent teaching or independent educating. Jonathan Worth was asked in his keynote whether the proposed UK Teaching Excellence Framework TEF might lever our education processes and whether this was a safe development? “award for people who are really trying to do something that is challenging… are doing it for intrinsically rewarded we are never going to be extrinsically rewarded for the work that we put in as teachers …all that time we don’t spend with our family…you can’t pay someone enough to reward them for that….but if you attribute them, say they’ve done a good job, give them autonomy….that will make them want to do more….”. We’ve heard the term relating to research from Martin Weller – people operating outside of their institutions and funding streams, and again tending to be those committed to the cause, or maybe those retired choosing to still pursue their interests? Just as the Guerilla researcher is driven by the desire to question, so is the Guerilla academic is striving to experiment and interact in new ways. Of course there is a downside to all of this as we challenge the technical, ethical and pedagogic boundaries of openness without any critical reflection. Martin writes about feeling like the “baddie” when we know the element of risk we are thrusting on our students and colleagues when we are encouraging them to work out in the open? Are we all conditioned lap-dogs? Within our academic cultures, maybe we are so fundamentally driven by the reward structures that we don’t even know it? The system is based around work, publish and reward. Has the reward of our behind-the-ear tickle-publication-system resulted in us pursuing these goals at whatever cost, and that working in the open, offers a solution? I see teachers hosting and participating in open courses, people producing open educational resources, technologists designing openly available software and gizmos, and open researchers working beyond their institutional walls, or not on permanent contracts. Are we sacrificing to much for an ear tickle? Martin (2015) writes about the future of open like a virus – permeating and perpetuating across all faces of academia. With any virus will come a personal cost, and I wonder what is the human cost behind much of what goes on in the open community? Something is going to give at some point – what happens when 20% of global teaching goes on outside of an institution? What are the implications of an educator or technologist is working 30% extra time beyond their institutional roles? “Two differing models of OER learning are being promoted: one which maintains the restricted provision of the university and another which proposes independent study, preserving the institution only for assessment and accreditation”. I would add, education might need to consider the implications of a three-tier education system which encompasses the university PLUS independent study AND independent teaching. Our critical reflections of openness are a start in thinking about this and how the system is disaggregating. What is in it for me personally? I’m a nice, rebellious, autonomous lap-dog who likes to adopt Guerilla tactics. The concerns over being REF-able or TEF-able are sad deflections from the bigger questions raised at ALT-C about social inequality and our ethical conduct in the open. The big questions on openness captured by Catherine Cronin beautifully in her blog. Kernohan D (2015). Digital Futures. Edited by Martin Hall, Martyn Harrow and Lorraine Estelle. Weller M (2015). The Battle for Open. Ubiqutiy Press. There have been some amazing comments and conversations linked to this blog post, including thoughts from more seasoned open educators. Here are some links. 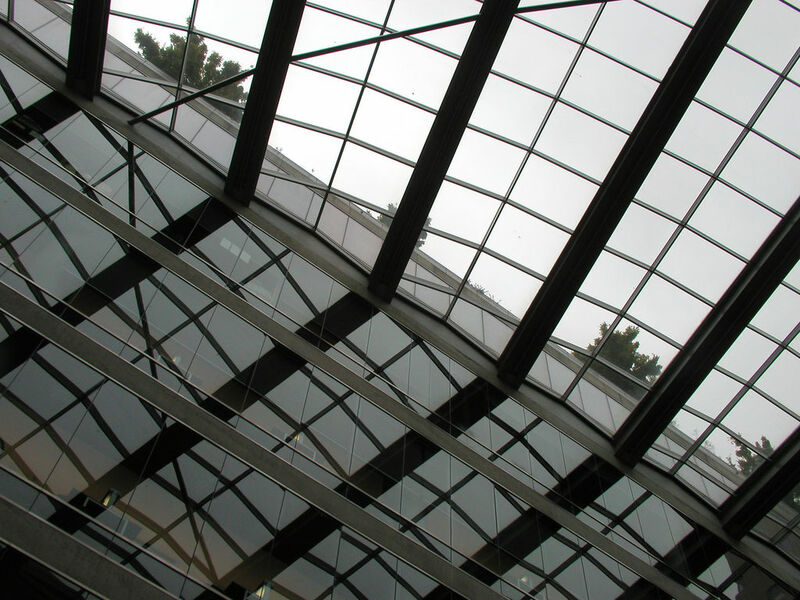 How to break through the glass ceiling? I have been selected for interview in 3 out of my last 5 applications, and one last week was quite an ambitious step up. OK, that one was bit of a cheeky stretch, but I think for the most part I don’t get considered or get any further because I haven’t done the job, not because I can’t do the job. Without the experience I’m just a bit of a risk. So how do you break through the glass ceiling? In industry, the use of secondments, role sharing, maternity cover were all established means of providing new avenues for people to explore. Not just that, senior management actively encouraged it. If you put someone from a different department into a role they would bring fresh and innovative approaches to solving problems. We don’t seem to have these options open to us so much in education. (Oh and before you ask, I have explored avenues in my present institution). I am prepared to go down to a 4-day week and work unpaid to gain the relevant strategic experience. Anything at a strategic level working with senior executive teams. I could lead institutional change and or explore new strategic approaches in learning and teaching, technology or open education. Anything relating to student experience and TEF would be relevant. Supporting fellowship applications for sure, although on reflecting upon my circumstances over the last few years, I’m less convinced of the relevance of them for individuals. WHAT would I not consider? Research projects – I probably don’t need to develop or enhance my research skills at this stage and do tend to keep myself busy enough! However, a project could involve an element of market research or desk-top research. That is where I need you. I need your ideas of projects or opportunities in YOUR institutions or businesses. Please respond in the comments box with your ideas.